Please join us for the 26th annual WSU Jazz Festival on Wednesday, Nov. 7, 2018. 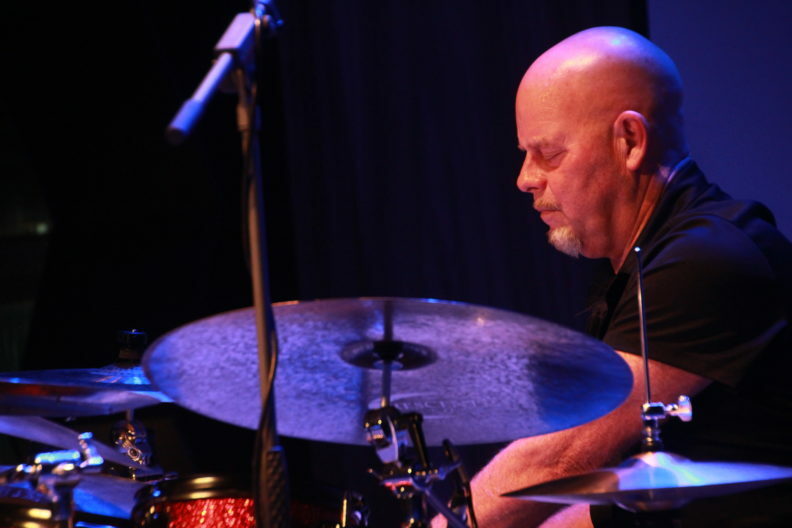 Our noontime gala concert in Bryan Hall Theatre will feature our special guest, the sensational drummer Gary Hobbs performing with the WSU Big Band I and faculty soloists directed by WSU Coordinator of Jazz Studies Brian Ward. Hobbs is a native of the Pacific Northwest and lives in Vancouver, WA. He has played professionally for over 4 decades and appears on over 60 recordings. Gary played with The Stan Kenton Orchestra from 75 through 77. Gary has performed with Randy Brecker, Bud Shank, Anita O’Day, Terry Gibbs, The New York Voices, The Woody Herman Orchestra and many others. He’s played Carnegie Hall, Royal Festival Hall, Wolf Trap and the Kennedy Center, as well as festivals and clubs all over the world. Gary is very active in Jazz Education, teaching at The University of Oregon and doing clinics, concerts and jazz camps. To learn more, visit Gary’s website. Additionally, the WSU faculty ensemble Jazz Northwest featuring saxophonists Greg Yasinitsky and Horace Alexander Young, trumpeter David Turnbull, pianist Brian Ward, guitarist Brad Ard, bassist F. David Snider, and drummer David Jarvis will be featured in an afternoon concert at the end of the festival. Each participating group will receive written comments from our distinguished adjudicators and an individual off-stage clinic. Guest artist Gary Hobbs and WSU faculty will present workshops throughout the day. Trophies will be awarded to outstanding bands of the morning and the afternoon. Admission to the gala and afternoon concerts is free to all festival participants. Registration fees are $175 per group. The festival will be limited to approximately eighteen big bands. Reserve your spot now!! Send an e-mail to brian.ward@wsu.edu, or call 509 335 7934 or fax 509 335 4245. See and hear video highlights of previous festivals below.